We all need a break at the end of a long day, but it’s not always possible to hang up our briefcase and run to the spa. That involves time, money, and planning. But what if you could go to the spa every single day, at a moment’s notice, for pennies on the dollar? How, you ask? It’s easy. Bring the spa to you. There are dozens of things, big and small, you can do to create that same, spa-like experience right in your own bathroom. When you make an effort to put yourself into a relaxing environment, your body will follow suit and declare, “It’s relaxation time!” If you’re in need of a quick getaway, below are some items from macys.com that will bring a little R&R to your door and leave you feeling truly pampered. Enjoy these 8 ways to turn your bathroom into a spa-like experience. There’s nothing like a luxurious robe to hug your body and transport you into a pampered heaven. Get one just for you, or a his and her robe for a couple’s spa experience. In order to keep your spa time special, have a separate “I’ll make the kids a PB&J in this” robe, in addition to your fancy robe just for the spa. This will symbolically (and literally) help you distinguish when it’s spa time as opposed to an ordinary day. Music has the power to transport us into another time and place. Have a quality sound experience with a portable speaker so you can control tunes right from your phone. Then go to town with finding just the right soothing, meditative music for a nice soak in the bath. 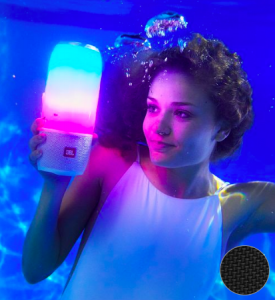 This Bluetooth speaker from JLB offers quality sound, it’s waterproof so perfect for the bathroom, and has soothing lights that will mesmerize your mind for a nice escape. Throw some life this room with a luscious, green plant. Plants represent rebirth and healing, the perfect energy for your time of rejuvenation. Nearly Natural makes some gorgeous life-like plants that will give you the look you want with zero maintenance. They have everything from Bonsai plants and succulents, to ferns and flowers. The right showerhead can feel like a full body massage, a perfect addition to your custom spa. Check out this T3 Source Showerhead that not only feels incredible, but it filters out the chlorine and gets rid of residual dirt and odor found in tap water. Nothing sets the mood like the right candle. 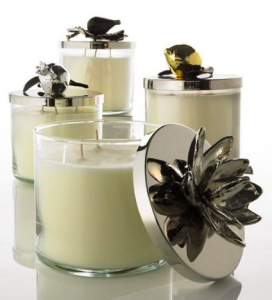 The flicker of the light sets a calming mood, and a subtle scent will remind you that you’re in a place of relaxation. Choose an aroma that represents your dream getaway – like the beach, the woods, or a lavender field. Give your feet a special treat with a memory foam rug. I’m obsessed with this one from Madison Park Essentials. Their Pebble Embossed Memory Foam Rug will make you instantly feel like you’re in a spa – from the look to the touch. Their neutral design will go with almost any décor, so treat yourself, you won’t be sorry! Keep your favorite pampering items on a luxurious, spa-like accessory tray. Fill it with those special indulgences that will spoil you silly when it’s time to pull out the big guns. Load it up with body mists, powders, lotions, salts – whatever you fancy – just make sure that every item is fit for a queen. The right bath elements can take your bath from ordinary to epic. Treat yourself to an experience, not just a quick bath. 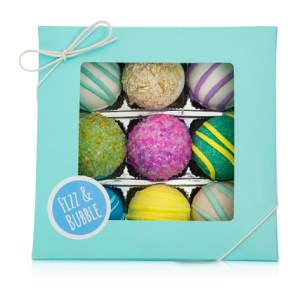 Fizz and Bubble has a wide variety of scents made from essential oils, and check out Philosophy’s large collection of soothing bubble bath. It’s the little things in life that add up to big things, so treat yourself in between those larger spa getaways and vacations! While you’re feeling grounded and getting centered, hop over to Sami’s Want to Start a Yoga Challenge? 7 Must-Have Accessories to take things to the next level.